"Livin' It Up In Northeast Des Moines"
Just click on the logos to go there and tweet or become a fan of DANA to get to know your neighbors and find out what's happening in the neighborhood! 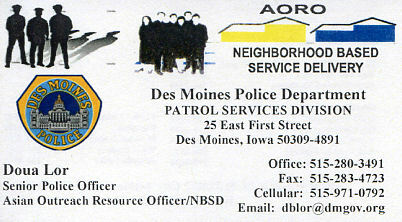 Douglas Acres Neighborhood Association publishes a regularly distributed newsletter to the area. This newsletter is distributed by email, by post office mail, and on this website in the left column. If you have information to be included in the newsletter or want your email address added to the mailing list simply send an email to >> newsletter@douglasacres.org . The field of 64 parks has been set and the voting begins next week! 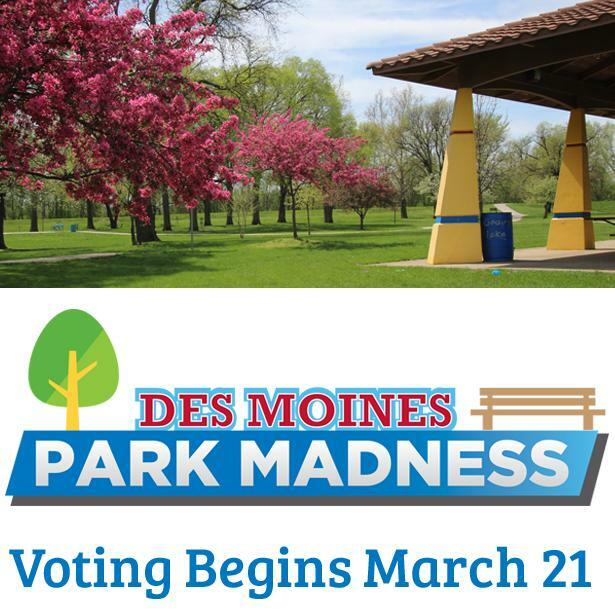 "Park Madness" presented by Des Moines Parks and Recreation starts Thursday, March 21. This online contest encourages residents and park lovers to vote their favorite park or facility through to the finals in this bracket-style tournament. The winning location will host a Free Flicks movie later this summer. Voting will continue through Monday, April 8 when the "Park Madness" champion is crowned. I encourage you to share with your members and help push your favorite facility to the top! DMPS announced in November 2017 its intention to build a new school at 3620 E. Douglas Avenue. The PK-6 school would have been the district’s second public Montessori school, and served some students currently attending Brubaker and Garton elementary schools. Larger-than-hoped-for budget cuts will mean Des Moines Public Schools shelving plans for a new Montessori school on the city’s northeast side for the foreseeable future. Superintendent Ahart indicates that DMPS will have to reduce spending by the school district’s general fund by as much as $72 million over the next three years. DMPS will continue ownership of the property, which was purchased in December 2017, for possible use in the future. Renita Lord, who was announced as principal of the proposed school back in July, will continue as principal of Garton Elementary School. The City of Des Moines is making it easier than ever for you to increase our urban tree canopy by planting trees on your property. As part of our annual Tiny Trees program, up to 5 FREE individual trees will be made available to city residents this spring, available for order at http://tinytrees.dmgov.org/. The 2018-2019 Street Improvement and Maintenance Program which includes work scheduled by the Engineering and Public Works Departments for the 2018-2019 construction season can be seen HERE. I would like to inform all of you that the following Walgreens now have a box for you to drop off your unwanted medication or you can still come to police station do it as well. Or you can email newsletter@douglasacres.org. Smart911 is a free service used by public safety agencies across the country to enhance communication and response for their community. It can be used by 9-1-1 agencies to quickly send first responders to the location of an emergency with more information, by emergency management to better plan for and respond to disasters, and by municipalities to send emergency notifications to their citizens. By creating a Safety Profile for your family, you are providing potentially life-saving information to public safety officials at the time when they need it most. AND THE EAST SIDE OF DES MOINES! As soon as spring FINALLY arrives and the frost is out of the ground to drive in the posts, there will be several Little Libraries in the Douglas Acres Neighborhood. 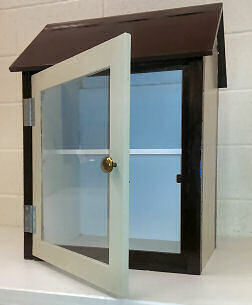 The libraries themselves are small weatherproof glass-front boxes on a post in front yards near the sidewalk. Adults and children are encouraged to stop and take a book to read and/or put a book in it for someone else to read. All exchanges are free and the goal is to provide free books to anyone to promote reading. 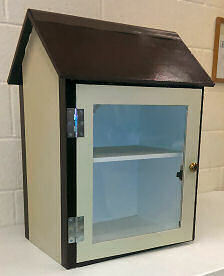 This is a new developing program so if you would like to donate to enable more Little Libraries and/or have one in your yard contact one of the board members. If you are a handy woodworker who would like to build these Libraries we do have blueprint plans available. The Emerald Ash Borer (EAB) is coming to Central Iowa and has been spotted as close as the Newton area. EAB kills all Ash trees and is considered the most destructive tree pest ever seen in North America. There are quite a few Ash trees in the Douglas Acres neighborhood, both on City property and in private yards. The City has begun the process of identifying which trees need to be removed from City property and have actually removed some of them this Spring. The City intends to notify the homeowner at least 3 days before removal. Once the tree has been cut down, another contractor will return at a later date and take out the remaining stump. If you have an Ash tree on the City “parking” in front of your home and it is cut down, you can request that another tree be planted by the City. For more information, go to the City website ( http://www.dmgov.org ) and look for the “Emerald Ash Borer” link in the Quick Links section on the left side of the webpage. When you visit that website, you can read the City of Des Moines Emerald Ash Borer Management Plan and find links to a variety of resources regarding this topic. Most people agree that trees increase our property value and if you want to save your Ash tree, treatment options are available. You can learn more at the website above. Whether you want to attract butterflies and birds, enjoy a splash of color, put together a fragrant bouquet, or eat something you tend yourself, you'll find plenty of support for growing plants inside or outside. Libraries, Google, local classes, and university extension services make it easy to find information, if you want more than what you find for plants on sale in stores or online. If you're concerned about watering plants, think "native prairie" as these plants tolerate drought and heat while also providing color and food for butterflies, bees, and birds. Bee population is down, so supporting our local pollinators with prairie plants or old favorites like zinnias and cosmos will help fresh produce in the future. Plants that attract winged creatures also can provide you with a beautiful bouquet or even something to eat yourself. Consider a row of sunflowers that can feed both birds and humans, as well as provide a cheery treat of flowers to cut or to enjoy outside. Douglas Acres Neighborhood Association was selected by the East Des Moines Chamber as neighborhood of the year by the chamber. This year the association will be honored during the Celebration of Progress event held on September 13, 2012. The East Des Moines Chamber's Celebration of Progress is an event held to raise funds for scholarships for East High School, North High School, and Grand View University. The location of the event will be the recently opened Bright Grandview Clubhouse located at Grandview Golf course. The Association will be given four tickets and we will purchase additional tickets for neighbors who would like to attend. Thanks to everyone for making this such a great place to live, work, and play. In the seasons of bad weather and poor road conditions find out the road conditions, read those electronic highway signs, and see what the roadside cameras see - CLICK HERE. Please consider joining D.A.N.A. if you are not already a member. To find out if you are in the Douglas Acres neighborhood CLICK HERE. This organized association gives our neighborhood a voice with the city and a way for neighbors to meet and get to know each other. Remember to renew your membership if you are a member. The cost is $5.00, and the money that we collect covers part of the cost of printing and mailing the newsletter and keeping this website going. You can CLICK HERE and print out the membership form. Please type “dana email” in the subject line. Boundaries for Douglas Acres Neighborhood Association are city limits to the North, the Freeway to the West, Euclid Ave. to the South, and Four Mile Creek to the East. We welcome our new board members and thank those who are serving another term. Have you been to Sargent Park lately? If not you should stop by and see the wonderful new play area. It is wonderful. As the new president of DANA I wish to say hello to everyone and welcome any recent arrivals to our little gem of a neighborhood. I have lived in the neighborhood since 1992 and have been part of the DANA board for many years. I would encourage you to attend our meetings and invite your neighbors to do the same. As a group our voices can carry more clout for the continual improvement and benefit of the neighborhood. Hope to meet you soon. or if it is an emergency then call 9-1-1. Remember, we have Neighborhood Financing available in our neighborhood. Grants of up to $10,000 are available to purchase a home or for updating your existing home. NFC would love to talk to you, their phone number is 515-246-0010 or on the web at www.neighborhoodfinance.org . D.A.N.A. 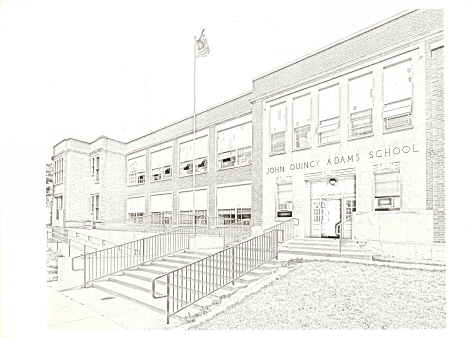 is selling an 8 ½ x 11 inch version of the picture of Adams School taken by Neal Westergaard that is displayed here. The cost is $5.00. To order, please call 453-7339. CLICK HERE to pick your camera. Before you head out this winter, get the current road conditions. Have you ever wondered if you had money coming back from an old bank account or insurance policy or whatever???? The National Sheriff's Association has established a national neighborhood watch program. CLICK HERE to go to the website. The US Dept of Health and Human Services is providing a wealth of family information with links to every conceivable need. For those of you that like to follow what your Iowa legislature is doing CLICK HERE to track bills and contact your legislator. DANA was honored with the first ever "Neighborhood of the Year" award given by the East Des Moines Chamber of Commerce. We were recognized for all of the work we have done to establish the Association, for our increased membership and for our effective representation of the neighborhood in city matters. The award is on display at the East Euclid HyVee. Des Moines Community Gardening Coalition is a program of the Des Moines Park and Recreation Department, that supports grass-roots community greening projects by working with neighborhood associations giving them the training and resources necessary to build sustainable community greening projects that educate people, beautify communities, increase food security, improve nutritional health, and build relationships among people. Des Moines Area Community College is offering a series of classes on management skills for persons serving nonprofit service agencies. A Neighborhood Resident Leadership Certificate is awarded upon completion of the required number of classes. 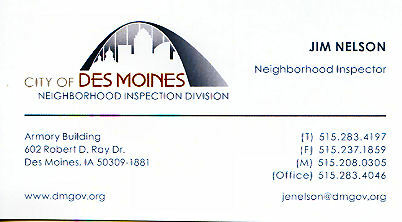 For more information, call Des Moines Neighbors at 280-1807. Graffiti Hurts® - Care for Your Community is a grassroots community education program. It was developed in 1996 by Keep America Beautiful, Inc. The Graffiti Hurts® Program also helps communities initiate local graffiti prevention activities, and educates youth and adults about the impact of graffiti vandalism. To do this, the Graffiti Hurts® web site contains all the tools communities need to begin graffiti education, prevention, and clean-up. Individuals and communities can also order a Graffiti Hurts® video and poster. www.graffitihurts.org. CLICK HERE to download a .pdf file of the signs to look for. CLICK HERE to go to the US Dept of Justice website page on community safety. METRO WASTE AUTHORITY INFO The metro Recycling Center is located at 1817 Euclid Avenue. They accept all items normally picked up with the green recycling bins (cardboard, plastic, glass, etc) as well as scrap tire, wood and metal. Tuesday - Friday: 2:00-6:00 p.m. The Hazardous Materials Disposal Center is located at 225 Prairie Drive in Bondurant. They are open Tuesday — Friday from 1-5 p.m. and on the 1st and 3rd Saturday of every month from 8:00 a.m. to noon. Call 967-5512 for more information, including their mobile pickup service. Anyone who wants their business listed on the Neighborhood Connection page be sure to send their info/logo/business card or text of the business to webmaster@douglasacres.org . This could be anything from lawn mowing and baby sitting to running third world countries. A building permit is needed for most improvements that increase your value. Contact the Permit & Development Center at 283-4200 to find out if a permit is needed. For more information, contact Phil Poorman at the Permit & Development Center by calling 283-4751 or emailing PRPoorman@dmgov.org. Last Updated 1/19/2019 .... late at night and half asleep!